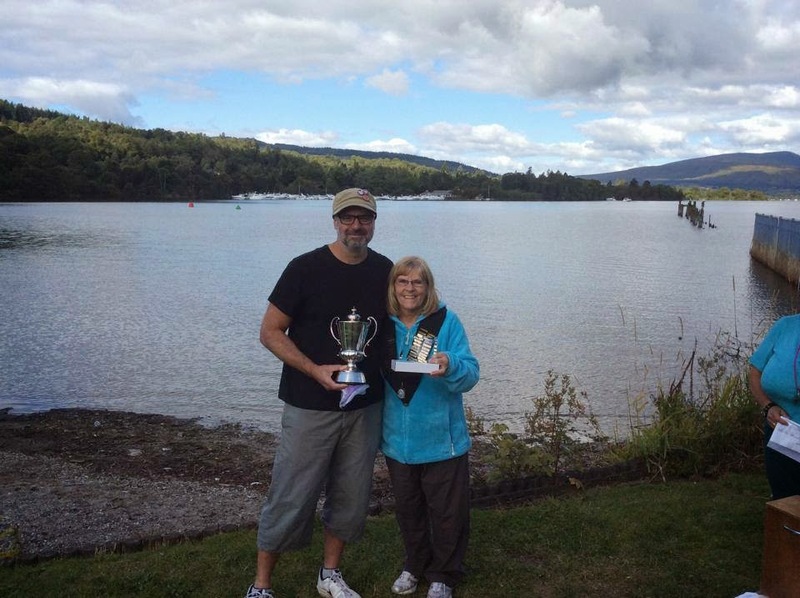 9 entered and set off from Ardlui on Saturday 23rd August 2014 but only 2 emerged from the water at Balloch on Sunday 24th August 2014: Philip Hodges (1st photo) and Adrian Rotchell (2nd photo). I don't mind admitting to you that I get emotional even now when I think about my successful attempt in 2012 and feel that Lomond is one of the most magical places on earth. Finishing that swim has given me untold confidence and enriched my life more ways than I care to mention. I was fortunate enough to catch up and sit down with Philip and Adrian yesterday which is less than 10 days after their swim to try and get to the bottom of what they did that made them succeed. I really love the ethos of the BLDSA where we can achieve amazing feats of endurance and yet give back to this wonderful sport on a voluntary basis & try and educate others. It really isn't about making money out of swimming in any way for me. I know others share that ideal. To put their name into the history books as numbers 49 and 50 to conquer the loch respectively, it wasn't just down to their repeatable stroke. They depended on boats and boat crews, had to swim through the evening then the entire night (!) through cold water and freezing air temperatures. They had to navigate islands, deal with exhaustion, feeds and the small matter of swimming further than they had ever swam before…………. AR: I really selected this swim as the key milestone swim prior to my Channel attempt in August 2015. Many of my swimming friends had gone the route of a Two-way Windermere in the year preceding their attempts and I wanted to 'change it up a bit' and do something that none of them had done before and were in fact a little scared of! PH: A few years ago I had wanted to organise a Loch Ness attempt but it never really got of the ground. So my attention switched to the BLDSA Loch Lomond swim. When did you first hear about the swim? AR: Actually Mark, it was you that inspired me to do the swim. Having read your blog it felt right to include it in my plans. It has kept me focused and motivated in my training over the past two years. 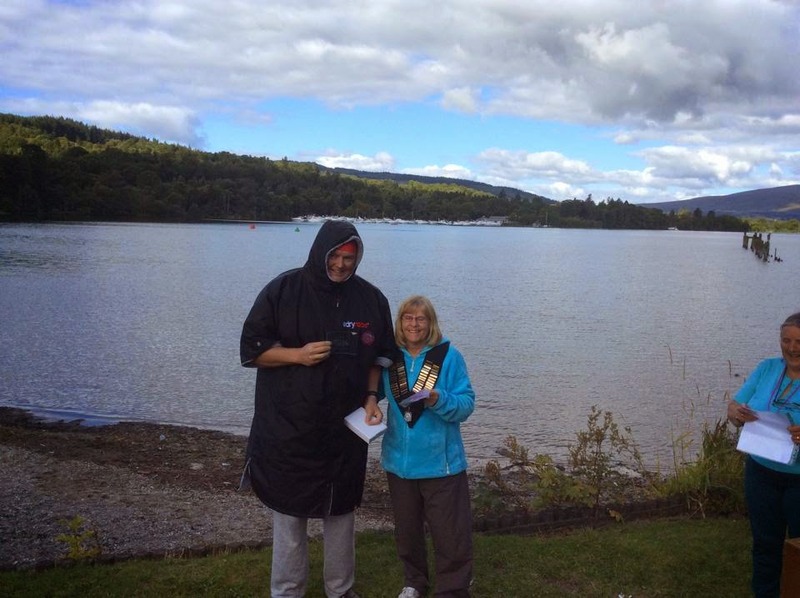 PH: It was initially through doing other BLDSA events that I became aware of it and then reading Mark Sheridan's blog post on his 2012 BLDSA Lomond swim was the catalyst that inspired me to give it a go. What did you do to prepare? Did you feel under-prepared at the start-line? AR: It's rare I know but I felt ready both mentally and physically for the swim. I had worked on reducing stroke rate throughout the year and went from 60+ down to a pretty constant 56/7 per minute, just to save my shoulders. I did 4 six hour swims in the sea this year, completed Champion of Champions and did one ten hour sea swim four weeks before the main event. I then tapered down in final preparation. Nothing was left to chance and ensuring I had all the logistics, gear, boat, right crew sorted early was really critical to my sanity and stress levels. Based on some sound advice from you, I made sure my crew had Friday afternoon on the loch together and all day on Saturday before the start to ensure they knew their jobs on the boat, were fully confident and had the route nailed down. PH: I work long hours and also commute so most of my training consisted of weekend loading, primarily a season in Dover Harbour with Freda Streeter and I also joined Cambridge Masters for two interval sessions a week. I also attended Ned Denison's Cork Distance Week. I felt a little under-prepared. Mainly to do with the unknowns of swimming through the night and just swimming for potentially twice my previous longest swim. What was your longest swim before undertaking LL? PH: My longest swim prior to Lomond was seven hours in Dover Harbour. Lomond at 13 hours was a bit of a jump. What was your feeding plan? Did that work or go wrong at any stage? AR: Fed every hour after the first two hours. 500ml Torq lime carb powder mixed with warm water, alternate banana and flapjack each feed for solids. This lasted until hour 8 when I ditched the Torq and moved to hot / warm chocolate in the same quantities and relied just on flapjack for solids. Had a sneaky milky way just before the last mile (just because I was worth it). Feed plan was generally good and although I got fed up with the Torq, the hot chocolate was perfect and I had not tried that before. I also had a box of my favourite Torq gels (Rhubarb and Custard) in the boat but never needed one. PH: My feeding plan was Nick Adam's "Keep it simple, keep it fast!" I had two 1.5 litre bottles of double strength Maxi and a 3 litre Thermos pump of warm water. For the first 10(?) hours I had about 300ml once an hour and for the last three hours switched to 150ml every 30 minutes. In total, for the 13 hours I used about 3.5 litres of the 6 litres of feed available on the boat. For all but one of the feeds we used a large open cup handed to me. When the wind picked up and we switched to a plastic bottle on a string. I tried to keep all the feeds fast. Towards the end it became increasingly tempting to use these stops as "rest breaks". Not 100% sure but like to think I manage to keep even the slowest feeds under a minute. I also had snacks available, jelly babies, milky ways, bananas etc but never desired any. Did you have any dark thoughts during the epic challenge and what did you do to overcome them? Sounds like dippy hippy stuff I know but worked a treat. Was it cold? Did you shake after getting out? How are your shoulders now? PH: I was told the air temp dropped to 4C for most of the night and that the water temp ranged from 14C at the start to 16C at the finish. The water temp I was OK with but the cold night air wrecked my throat and lungs. I was initially sceptical that the air had been that cold but the weather report for the night seemed to back it up. Did you actually enjoy the swim itself and how do you feel about the achievement now? AR: I enjoyed every minute and am delighted that my training is exactly on track for the Channel. I may look back on this swim as an even greater achievement than the Channel but right now I am very focused on that goal. In the back of my mind I feel I could have swam quicker and looking back at some video footage that my crew took, I still have some more things to work on that will help me achieve and maintain a faster pace for swims next year. PH: A week later it is very easy to say yes. All the difficult parts seem to be fading away and you are just left with the awesome memories. Loch Lomond is stunning! It is an amazing and humbling swim. I am very pleased I attempted it and very pleased I did it as part of a BLDSA event. What do you have planned next? AR: A full year of training, a healthy mixture of sea swims and BLDSA events based around the same schedule as this year to prepare for my Channel attempt. PH: I have an EC solo booked for July 2015. Any other key pieces of advice for any swimmers contemplating LL? AR: Be brave, sign up, train hard and expect it to be cold (We were all spoilt this year by warm lakes and seas and I was not expecting 14 degrees in the run up to the swim. I don't know how I would have felt if I just turned up on the Saturday evening and jumped in without a few cold swims under my belt earlier in the week) and make sure your crew is well informed and confident. My crew were exhausted after my swim, it is very 'mentally' intense and a challenge in its own right. It's a real team effort and the shared feeling of joy and sense of achievement will stay with us all forever. PH: The fish and chips from the Ardlui Hotel are pretty awesome and a great second lunch prior to the swim!! Great post, thank you Mark. Great swims Philip and Adrian - well done. Hi - My name is Mark Sheridan. I live near Sevenoaks in Kent (UK) and am a mad keen open water ultra-distance swimmer. I have completed many swims over 21 miles including 43 mile Lac Leman (4th solo ever & 1st Brit), the English Channel (twice), Loch Lomond (44th person), the Catalina Channel in California, Two-way Windermere, Lake Tahoe and SCAR to name a few . I currently serve on the committee of the British Long Distance Swimming Association (President 2017), am the Swim Secretary the famously gruelling 9-mile Champion of Champions and distance training camps. I was awarded British Long Distance Swimming Association's Swimmer of the Year in 2013 and also won the Global Marathon Swimming Federation's Barra Award for Best Year in 2015. Above all, I enjoy sharing my experiences to help others reach their goals and giving back to this wonderful sport on a voluntary basis. I currently hold the British record for Lake Tahoe solo which I set in August 2018 taking almost 90mins off the prior benchmark. Picture Window theme. Theme images by MichaelJay. Powered by Blogger.